Greeting from Stephen and Stefan of Continental Cookies. 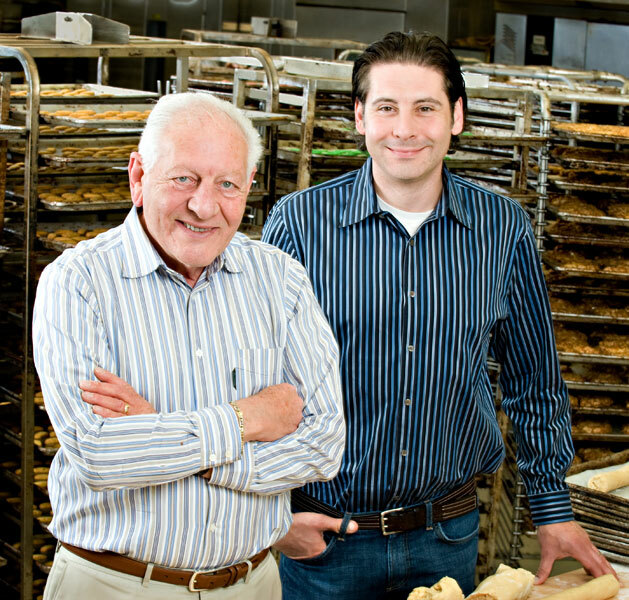 Continental Cookies was started by 3 bakers from the Bronx after returning from WWII. Our cookie business has certainly grown since then, but the same care is taken to produce a full line of cookies that look and taste like they were baked in your grandmother’s house. High quality cookies do not go out of style. Most of the varieties and recipes are the same as they were when we first started baking cookies over 60 years ago. Continental Cookies are unique in quality. Many others have tried to reproduce some of the over 100 freshly made cookies varieties that we offer. The secret to our cookies is fresh ingredients, recipes that have been used for over 60 years, and bakers that put care and effort into every batch of cookies. Our cookies are handmade guaranteeing that each cookie is a result of hard work that you can taste in each bite. Continental Cookies has over 100 varieties of handmade old world style butter cookie for every occasion. Our cookies are available on line “click here”, and in our outlet store at our bakery. You also may find our cookies at select number of the finest supermarkets, gourmet markets and bakeries. Once you try a Continental Cookie, no other will do.